Ever notice those “conversion copywriting” techniques you read about for ugly, hard-to-stomach long-form sales pages? That’s great for niche info products. Great for diet pills and exercise DVDs. Great for miracle cures. But it’s BAD for the products and services most of us are actually selling – like productivity apps, games, SaaS, consulting services, ebooks, quilts, clothes, hardware… the list goes on. Here’s the thing: the uber-long headline above isn’t necessarily wrong for short copy. It’s filled with some great messages. The kinds of messages that could impact your conversion rate positively, like listing highly desirable outcomes (e.g., “boosting your profits”) and showing how you remove a key pain (i.e., no time for intensive marketing efforts). 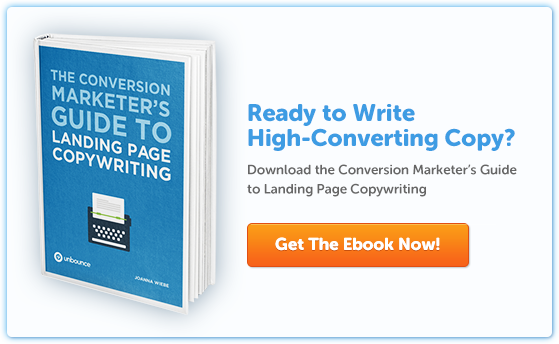 So what if we were to take the best of long-form sales page copywriting… and tweak it for our 2.0 or short-copy landing pages? We could then develop a series of headline formulas that any startup or small business could use to convert as well as long-form converts – without gettin’ ugly or lookin’ sketchy. Sound like something you could stomach? Then let’s do it. What Needs to Be in a Headline? If the average person arriving on your page doesn’t really know much about you – say, they’re coming from PPC ads – you should probably use your brand name in the headline and say exactly what you do. If you can promise a great result of some kind – especially a memorable one – include it, and use the word “promise” (because explicit is good). See headline formulas B and C below for examples. As I discussed in my last Unbounce post, the best headline copy will come from the words your customers use. When you survey your customers to find out about their pains, needs and expectations, you will be better positioned than the average person to write a high-converting headline. You won’t want to believe me on some of these formatting tips, but you should. Trust me here. I wouldn’t lead you astray – I get nothing out of screwing you over, but I get to be a hero if I give you the guidance that increases your clicks and conversions, right? Right. When you treat your headlines like so, something amazing will happen: your visitors will actually NOTICE them. Cool, right? After all, headlines are made to be noticed. Your visitors want to see them. Your visitors will actually read them (yay!). So don’t hide them in the shadows or cram them into tiny spaces alongside big, meaningless stock photos. Be bold! Let your headlines shine! Once you have the right meat for your headline and the ideal formatting, a headline formula comes in extremely handy and keeps you from the frustration of trying to think up a headline without any guidance. How Would These Headlines Work for a Sample Company? Not every one of ‘em works… but a few sure do, don’t they? 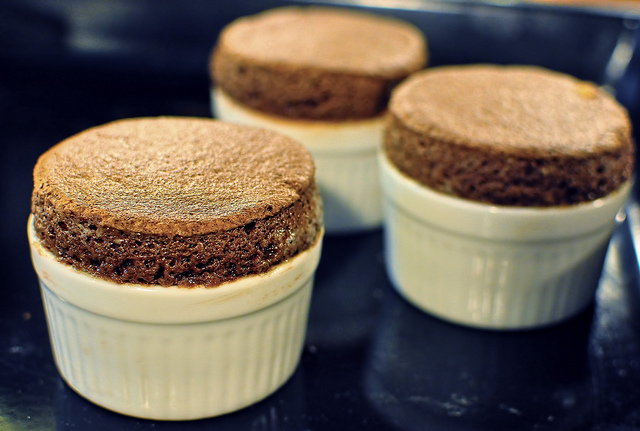 Good question… but let me ask you this: Would you bake a chocolate soufflé for your mother-in-law’s birthday party without referring to a recipe? Would you just throw a bunch of eggs and blocks of chocolate into a pan and chuck it in the oven? No. Because there’s too much riding on getting it right. Just like there’s too much riding on your headline to simply ‘wing it’. It is not your job – whether you’re a business owner, marketer or copywriter – to work from scratch every single time you write copy. In fact, the more you write copy, the more you’ll see that the best copy doesn’t come from some magical creative writing lab in your mind. So why force yourself to write from scratch when you’ve got at least 5 “recipes” at your disposal? I’m repeating the headline formulas below. Select at least 3 of them, and complete them for your own product. For best results, pull copy from customer surveys, as I showed in my last Unbounce post. Then, why not run a test? Landing page headline tests are extremely easy to run in most tools, and the results can give you the clear insights you can’t get from, say, a button-color test.